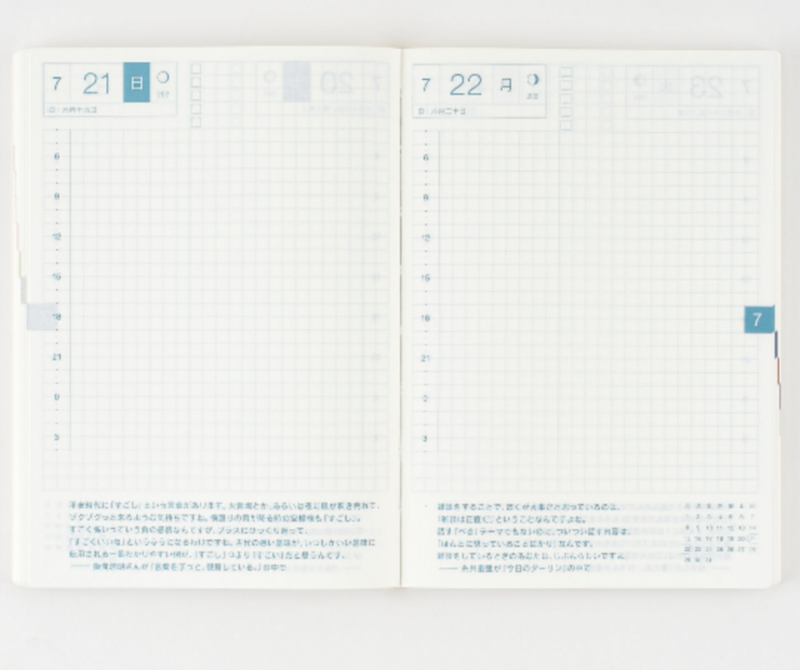 Behold the sensational Hobonichi Techo, one of Japan's best-selling daily planners! 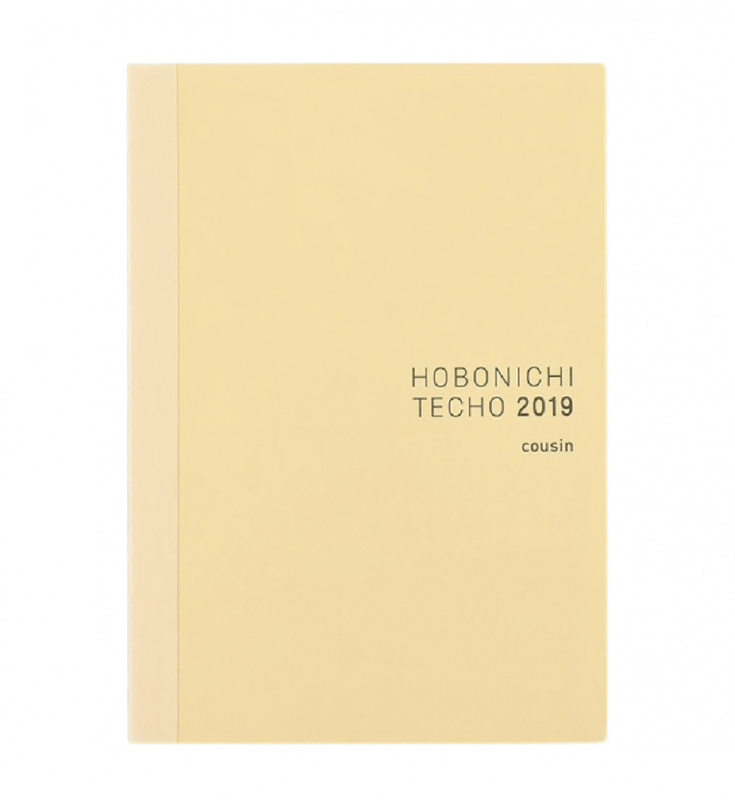 More than just an agenda, Hobonichi Techo planners are designed as a blank canvas for documenting the small moments of everyday life. Use it as a diary, scrapbook, photo album, sketchbook, or simply as a place to record your thoughts. 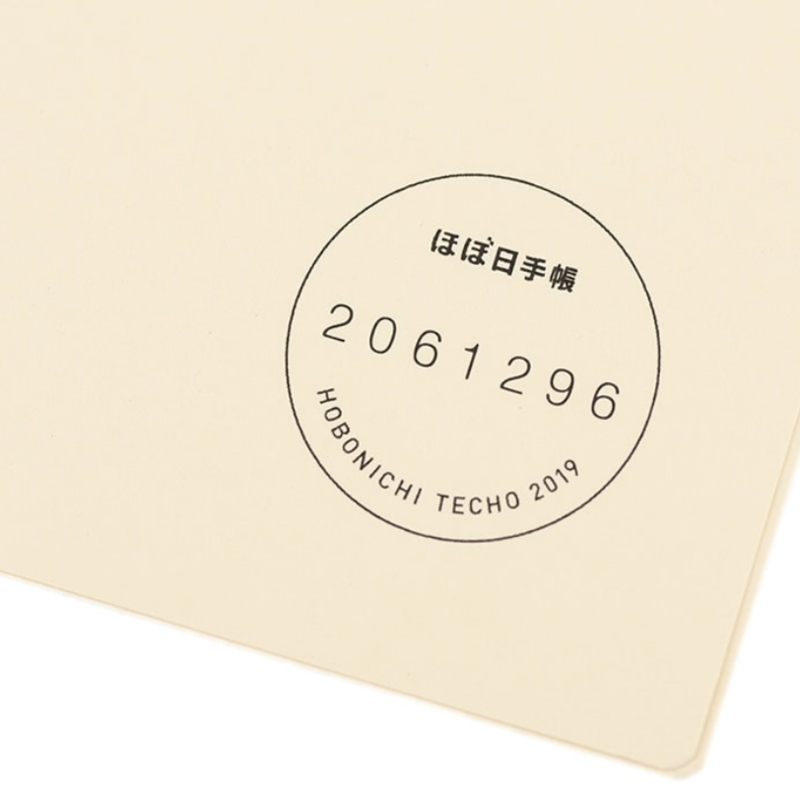 The name Techo is the Japanese word for "planner," derived from the Japanese words for "hand" and "notebook." 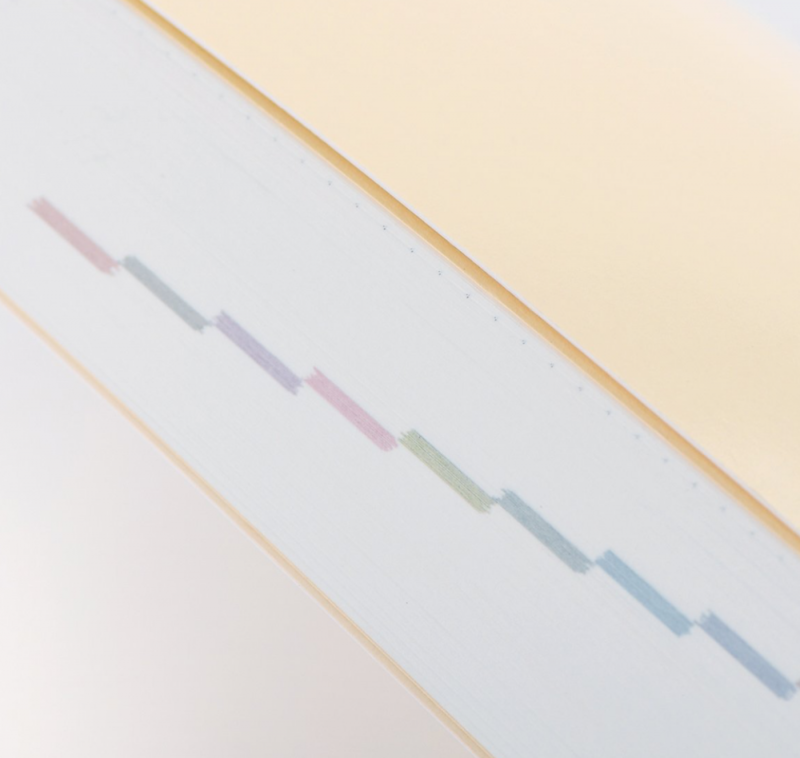 Tomoe River paper: This exquisite paper is ultra-thin, making it lightweight and easy to carry. Despite its thinness, the paper is remarkably resistant to ink bleed-through. 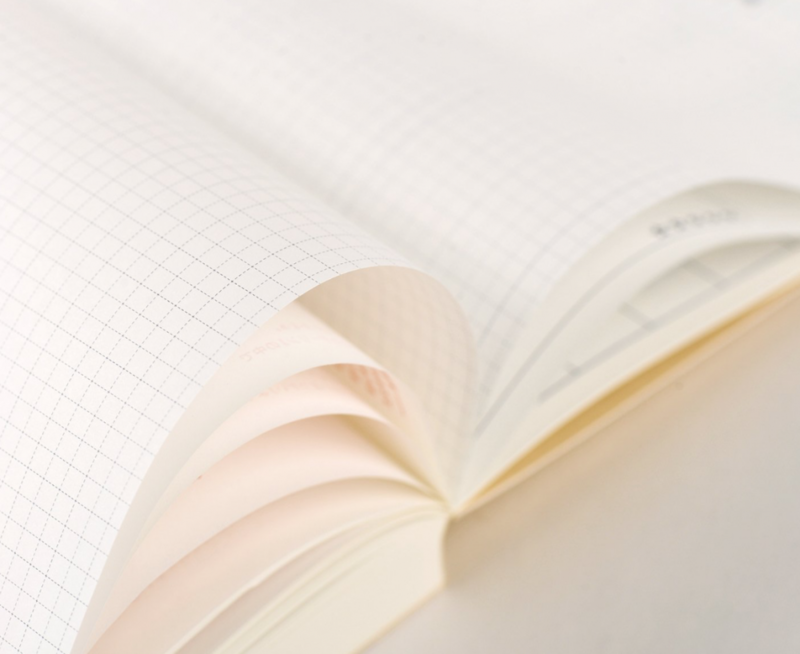 Grid pattern: The graph sheet style keeps notes organized and lets you design various layouts for each page. Monthly calendars: In this section at the front of the planner, each month is a two-page spread. The date range for this section is December 2018 through March 2020. Weekly diary and schedule: Exclusive to the Cousin, this diary section features a one week per two-page spread format with timetables from 5:00 am to 4:00 am the following day. The date range for this section is December 31, 2018 through January 5, 2020. Quotations: Entertaining, inspirational quotes printed on every other page offer bits of wisdom. Reference pages: Measurement tables, a printed ruler, guides to Japanese culture, and other information is conveniently available. 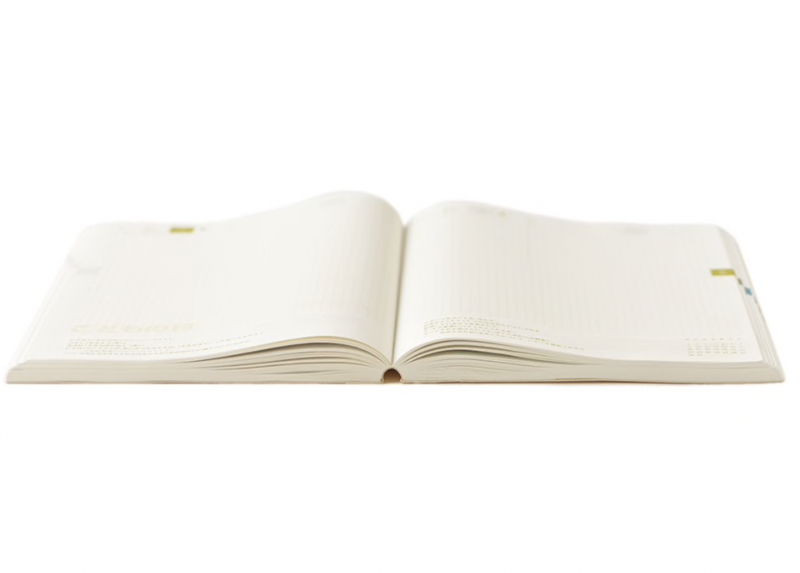 Stitch binding: With this lay-flat binding, writing in your Techo is easy and comfortable. 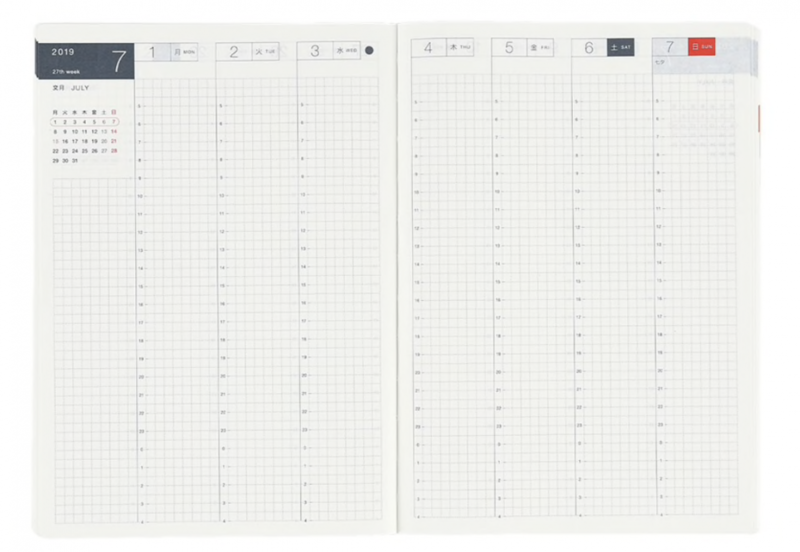 This is a Japanese-language planner. 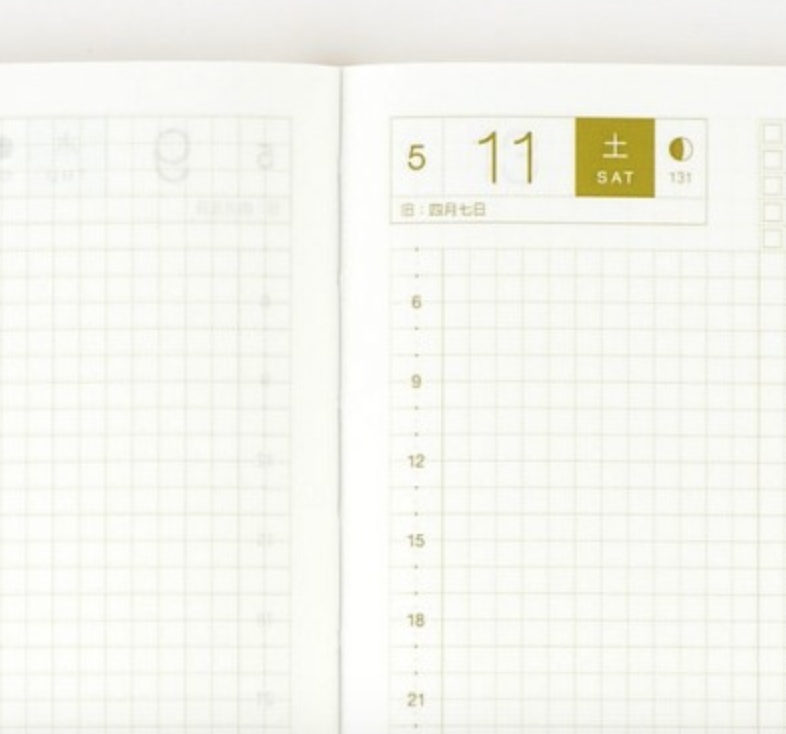 All text including quotes and reference pages are in Japanese, but the planner pages use standard numerals to list the months and days, so anyone can use them.